Diamond Hills Preschool provides a nurturing, stimulating, educational and play based program. Your child will become an integral part of a fun developmentally appropriate early childhood curriculum. 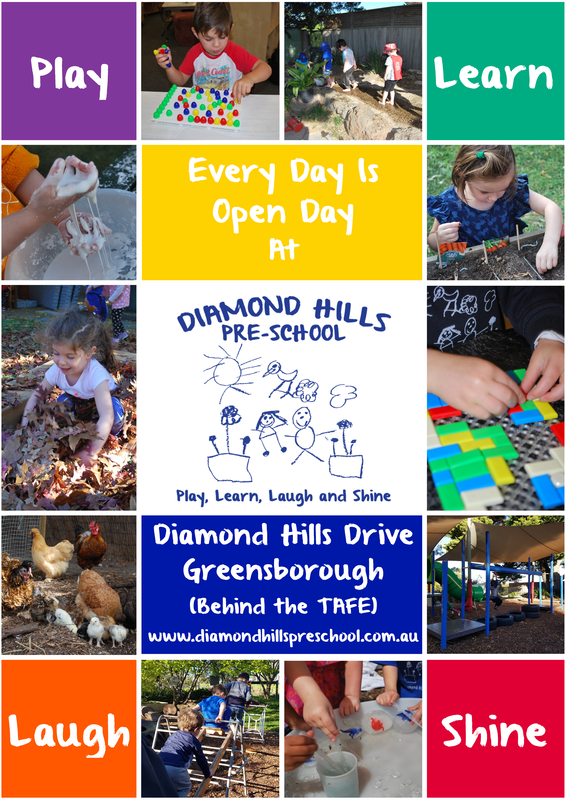 Diamond Hills Preschool is based in Greensborough and is a well known and respected preschool within the Nillumbik Shire. Would you like your child to benefit from what Diamond Hills Preschool has to offer?